The City of Brotherly Love. Birthplace of America. Independence Capital. Home of Rocky, cheese steaks and…forklift jobs? 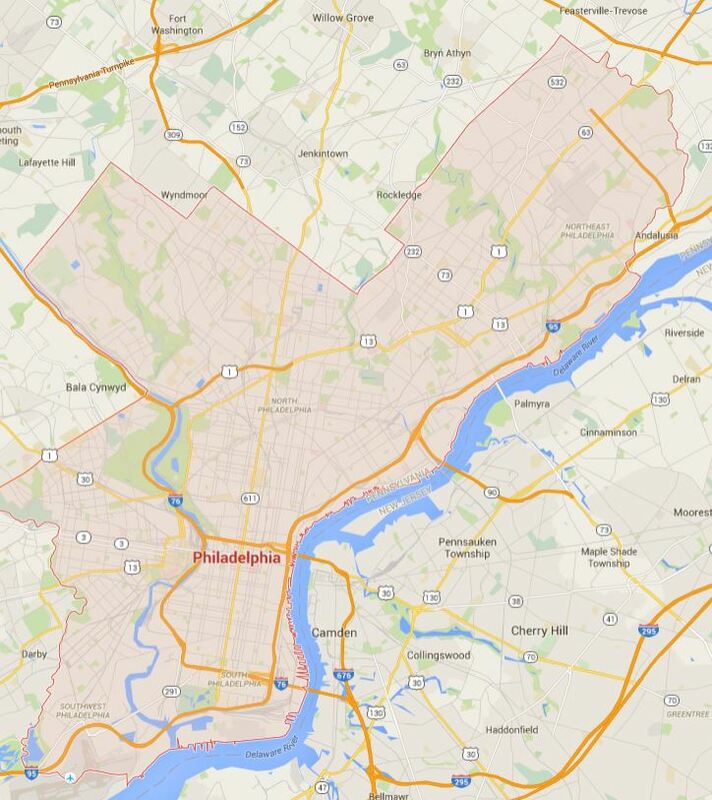 Philadelphia is home to all of these things, and much more! Philly’s numerous dockyards, ports, warehouses and strategic East Coast location make it one of the best places for a well-qualified forklift driver to earn a living. With so much commerce – and so much product & cargo to haul in and out of the city – anyone with the latest OSHA-compliant forklift certification Philadelphia can get in a new job fast, with a distinct advantage in the job market. It all starts with our OSHA compliant forklift certification in Philadelphia, PA. With expert instruction, lifetime support and accessible online content, no other training partner offers the convenience and comprehensive training material that FLC has. Employers are responsible for forklift certification in Philadelphia. This OSHA requirement means that any Philly company that hires forklift drivers has to provide forklift training. Is your company ready to take on training for dozens, maybe hundreds of employees? If not, ForkliftCertification.com, the leader in Philadelphia forklift certification and training, offers courses for everyone to get OSHA compliance! Getting your forklift certification in Philadelphia, PA has never been easier, or more affordable. We think everyone should have OSHA approved training – and so does OSHA! In fact, it’s the law of the land! No U.S. employer is permitted to knowingly allow an untrained employee to run a powered industrial truck. And likewise, no employee should operate a pallet jack or forklift without OSHA compliant instruction. Decreased liability. If your Philly-area company is involved with a forklift accident, an OSHA audit will ask for employee training records. If you don’t have them, fines and penalties can be steep! Better productivity. Once your employees have their Philadelphia forklift certification, safety isn’t the only thing that improves – so does productivity! Peace of mind. In today’s business world, few things are a sure thing. But a Philadelphia forklift certification is about as sure as it gets. Every well-trained forklift operator is one less headache to worry about. FLC simplifies the entire process, with a flexible online format that’s idea for employees and employers alike. WHY COMPLETE FORKLIFT CERTIFICATION PHILADELPHIA? Forklift accidents happen every year on worksites, and the top cause of these accidents is operator error. Workers without proper training and practice simply aren’t prepared to avoid hazards and prevent accidents. If you’re an employee, forklift certification Philadelphia is the best way to protect your life on the job. As an employer, certified workers can help you keep your workplace compliant with OSHA and combat fines. Managers and owners don’t want to risk the “what ifs” of bad safety practices and potential catastrophic accidents. As an employer, certified workers can help you keep your workplace compliant with OSHA and combat fines. Forget about attending off-site meetings, or attending seminars outside Philly. We bring the best OSHA-compliant forklift certification in Philadelphia, PA right to you! If you’re an employer in Philadelphia and you need to achieve OSHA compliance, don’t delay any longer – contact FLC today, and we’ll help with all of your forklift training requirements. Forklift training is essential, but that doesn’t mean you should get just any certification program. If you want to be the best operator you can be and be the most desirable to a potential employer, you need an OSHA-compliant forklift certification Philadelphia. This type of training program ensures that workers are getting all the up-to-date information they need to operate forklifts safely, including how to operate the controls and instruments, how to recognize hazards, and how to prevent accidents. It also ensures the workplace remains compliant with regulations to prevent fines and legalities. As we mentioned above, you need to look for an OSHA-compliant training program when deciding on a forklift course. Forklift certification Philadelphia that is compliant with OSHA standards will ensure you and your workplace has the best information to prevent injuries and fatalities. OSHA’s number one priority is keeping workplaces safe and reducing the amount of accidents that occur. A forklift training program that follows their high standards will be the absolute most effective way to prevent accidents that can send your operating costs sky high, as well as lead to fines and legalities. According to OSHA, it’s the employer’s responsibility to ensure operators are able to operate forklifts safely, following the successful completion of training. Furthermore, training must cover both truck-related and workplace-related topics and must include written instruction, practice training, and an in-person evaluation. This type of well-rounded education will supply operators with a thorough understanding of the best and safest operating methods for forklifts, how to navigate around workers and tricky situations, and how to recognize hazards to prevent accidents. OSHA also requires that forklift operators receive refresher training at least once every three years, or as soon as they are involved in an accident, near-miss, or will be operating a new type of forklift. We make it easy at ForkliftCertification.com to comply with all OSHA standards. Our Training Kit is completely OSHA-compliant and includes free three-year renewals for life! FLC offers complete Philadelphia forklift certification, regardless of each driver’s skill level! Our employer-friendly platform allows any company to get any forklift driver compliant with forklift certification in Philadelphia. Sign up today! If you’re an employer who hires forklift operators, you’ll be happy to know that once they receive their comprehensive forklift certification Philadelphia, they’ll be ready to pursue different tasks in your workplace, from operating a rough terrain forklift outdoors, to a pallet jack in a narrow aisle inside the warehouse. With our program, they’ll have received the specific training they need for each of these types of forklifts, in addition to warehouse forklifts and order pickers. You’ll be compliant with OSHA, and they’ll be competent and confident. Make your workplace more productive and more versatile with forklift certification in Philadelphia! We’ve helped thousands of forklift drivers with Philadelphia forklift training and OSHA certification. Plus, we offer a trio of different training packages – Train a Trainer, Training Kit and the value-added Bundle Package – to fit your particular requirements. Once you understand the key concepts and pass your online training, you’ll be well on your way to becoming the best, most safety-conscious forklift driver in all of Philadelphia. And as a result, you’ll qualify for the best forklift jobs in Philadelphia. In only about one hour, or however long you need to take the course at your pace, your employers will complete their forklift certification Philadelphia and have your certificate in hand to qualify for the best jobs in your area. The program is 100% OSHA-compliant and teaches workers everything they need to operate forklifts safely. It’s Fast – Forklift certification Philadelphia takes about an hour to complete–You can finish during an extended lunch hour! With our online format, all you need is a reliable internet connection and the time to complete your forklift certification in Philadelphia, PA. That’s it – before you know it, your employees are fully qualified to operate your forklifts! It’s Convenient – Busy schedules in a busy, bustling city means that you need convenience and flexibility. Our forklift certification in Philadelphia, PA is online and can be taken on any computer that has internet access, at any time on any day. It’s Affordable– Forklift training and certification in Philadelphia shouldn’t be expensive; Our training is affordable and we make it easy to get the education you need to be successful. Costing only $299 for the entire Training Kit, you won’t find a more affordable forklift program that’s 100% OSHA-compliant. Are you ready to launch your Philadelphia forklift training today? FLC’s OSHA experts are here to help. Simply call our main office at (888) 278-8896 or visit the FLC contact page for information on training rates, special packages and much more. Philadelphia forklift training helps both employee and employer. So no matter where you’re coming from, FLC can always get your safety credentials on the right track. Don’t delay any longer – the competition certainly won’t – give us a call today! OSHA compliance is easier and more affordable than you think – sign up for Philadelphia forklift certification and become a better forklift operator.